Qatar is the one of the world's richest country that has highest human development among Arab countries. Qatar is considered as a high income economy by the World Bank. 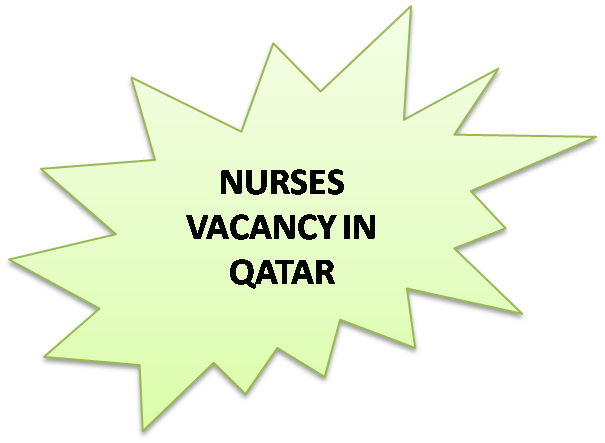 We feel that it is a great chance for you to work as Nurse in this great country that too in a wonderful hospital. This hospital is equipped with ultra modern facilities, highly qualified doctors with a personal approach, extremely caring nurses and paramedical staff etc. You can apply for future jobs related to Nursing field. Just click on the link given below. Then fill in all details and submit. Don't forget to attach your CV. Also you can email and follow up about these vacancies in the email given in this page.